The Serta Motion Perfect Adjustable Power Base system transforms one of the most comfortable mattresses into an even more comfortable mattress features a quiet motor with a 600 pound weight limit is at the core of the adjustable base. It also features head and foot articulation, dual massage with a wave setting, a programmable comfort setting, and optional headboard brackets. 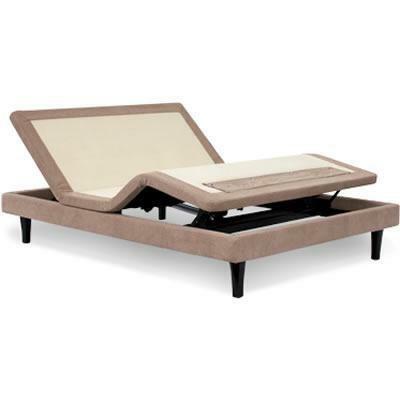 Every Serta Motion Perfect Adjustable Base also features ZipFit. ZipFit is a system that uses a durable zipper to attach the adjustable base discreetly to the mattress, using no bulky or unsightly metal bars.